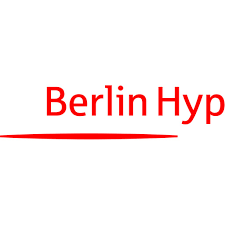 Concentrated experience, reliability and innovation150 years of experience in commercial real estate financing and close proximity to the Savings Banks Finance Group make Berlin Hyp one of the leading German real estate and Pfandbrief banks.We are a reliable, personal and flexible partner for quality-oriented, innovative investors. Driven by the aim to become the leading real estate financing bank in our strategic markets, we are concentrating on delivering better performance in a more customer-centric way with our future process.We would like to be a valuable business partner for the savings banks and consistently make a positive value contribution to the success of the Savings Banks Finance Group. With headquarters in Berlin and offices in Düsseldorf, Frankfurt am Main, Hamburg, Munich and Stuttgart as well as in Amsterdam, Paris and Warsaw, we would like to continually increase the opportunities for partnership cooperation.